Expert Interviews... And Much More! How to make your first video in 24 hours or less. A few simple accessories for your smartphone (iPhone or Android). Ten techniques to get comfortable in front of the camera - even if you hate being filmed. How to make quick snapshot videos people enjoy. How to turn your phone into a video production machine. Pro techniques for better steady shots. The secrets of good light and sound. Making cool moving videos. 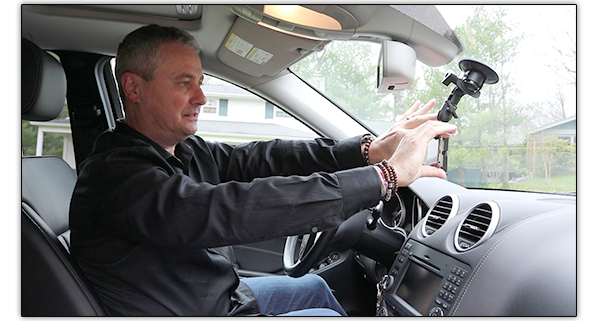 Filming in your car. How to frame your shots like they do in the movies. Avoiding amateur mistakes. Building a lead funnel from video to lead to client to commission. Creating your Unique Selling Proposition (USP) to stand out in a competitive real estate market. Easy strategies to come up with fresh interesting video content. How to use a Video Outline Checklist. Real Estate Authority positioning strategies. 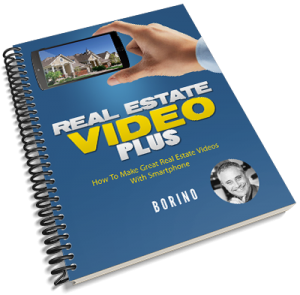 Over 100 interesting real estate video topics that turn you into a local real estate celebrity. What to talk about in your videos without memorizing a script, or sounding like a robot. 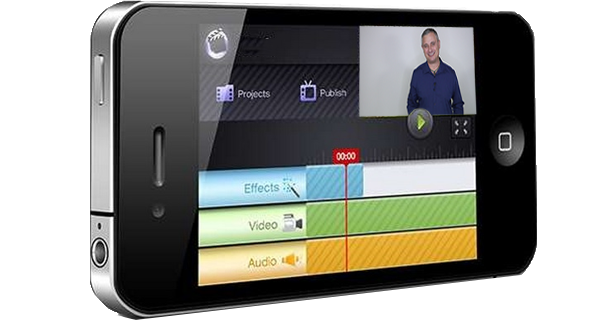 A set of content outlines and examples that makes video creation a breeze. How to add stories to make your videos interesting. Elements that build trust and expert positioning. Most powerful psychological influence factors that pull in the right leads. How to edit on your smartphone and computer - even if you've never edited a video. Adding insert shots so your viewers stay engaged. Quick method to make hybrid videos with photos. Creating powerful Call-To-Action message that compels the right prospects to reach out to you. Making your videos look polished like a TV production with music, transitions, and effects. How to tap into the power of YouTube (and Google) to get more clients and commissions. Setting up your channel for the most visibility. How to find the right audience and rank your videos for the maximum views. What's working right now: Best tricks and tactics that steadily grow your subscribers and leads. 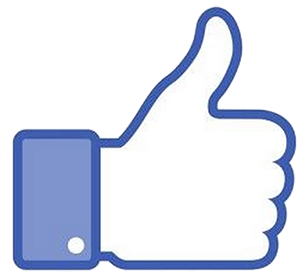 How to turn your Facebook connections into your video fans. Making videos specifically for Facebook. Using social media to promote your videos - and generate business. How to produce a quick and easy slideshow video in less than 30 minutes. How to stay organized (and productive) with a video production calendar. Best resources for video bumpers, artwork, animation, and graphics. 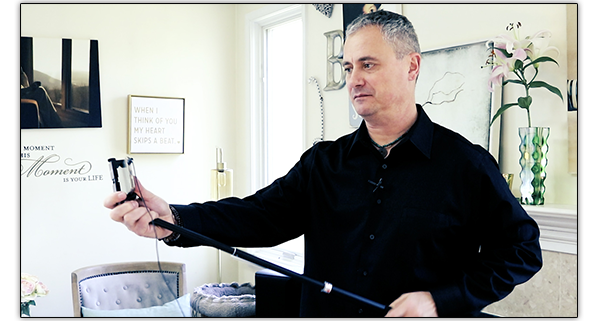 What it takes to become a real estate video rockstar. 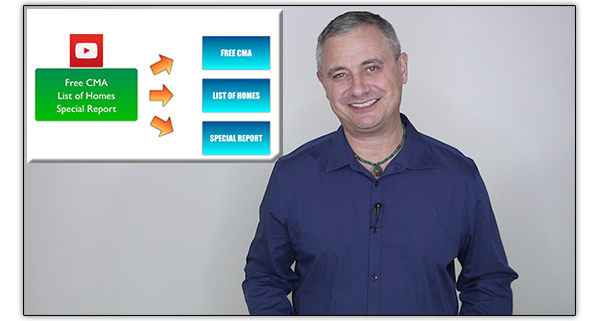 Instant access to the Real Estate Video Plus course online. Over 40 video lessons with easy to follow walkthroughs, tutorials, and examples. From the basics to the advanced techniques and strategies. Companion guide to the course with over 100 pages of script outlines, checklists, and notes. This is not a PDF, but an actual manual we mail you. Written by a real estate agent specifically for real estate agents. Royalty-free professional music tracks and sound effects that will grab your viewers’ attention and add another level of professionalism to your videos. 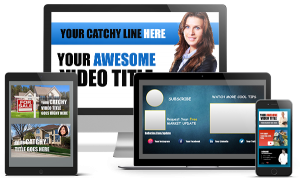 Professionally designed templates for photo slideshow videos. Drag-and-drop simple to customize and quickly produce great-looking promo videos for your new listing, a sale, or an open house. Keynote (Mac) and PowerPoint (PC) versions included. 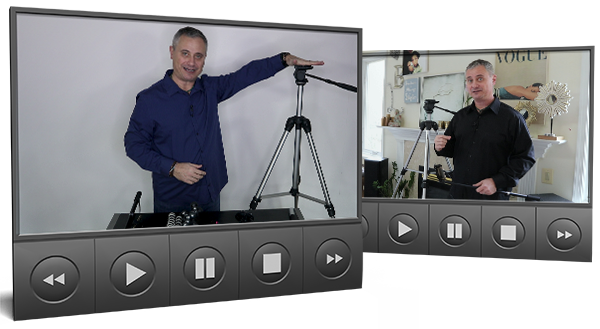 Great-looking video elements for an easy way to enhance your videos. Call-To-Action titles, Subscribe slates, YouTube custom thumbnails, and more. Quick and easy to customize - just drag-and-drop. 30-Day membership to the Netflix for smart real estate agents. Over 100+ advanced sessions, interviews and downloads. 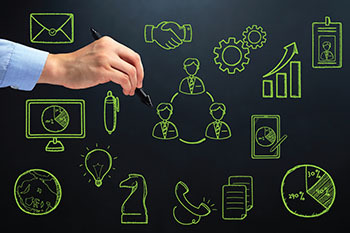 Lead generation strategies, follow up tips, marketing tools, and tons more. New content added weekly. Take a full 60 days and review the program. If you are not completely thrilled with it, let us know and we will refund 100% of your money, no questions asked. Plus – you get to keep the materials – as our thank you for giving it a try! Just contact our friendly customer service within 60 days of your purchase and every penny will be refunded to you.